This soup is not only easy to make but also very convenient as you can make use of any vegetables of your choice. This soup is low in calories and is full of nutrition. The mild flavor of lemon grass is the highlight of the soup. In case you don't like tofu, you can always replace it with paneer. • Heat a deep nonstick pan and add vegetable stock to it and boil. 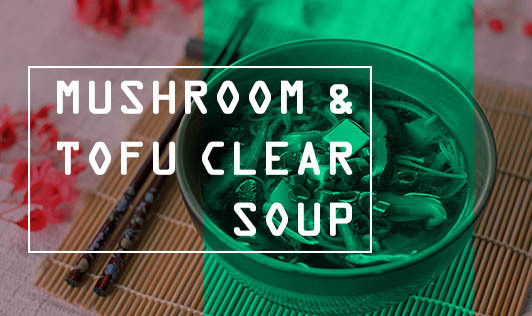 • Add the mushrooms, tofu, green chilies, galangal, lemon grass, and lemon leaves, and stir well. • Boil for 5 minutes or till the herbs start to release the flavor. • Now add the soya sauce, tomatoes, spring onions, coriander, and cook for another 1 to 2 minute. • Season the soup with salt and turn off the stove. • Add the lime juice and mix well. • Garnish with coriander sprigs and serve hot.